Sheppard Robson, with its interior design group ID:SR Sheppard Robson, has gained planning permission from Watford Borough Council for the new European Headquarters office which is part of the new urban campus for retailer TJX Europe, the operator of the TK Maxx and Homesense retail chains. 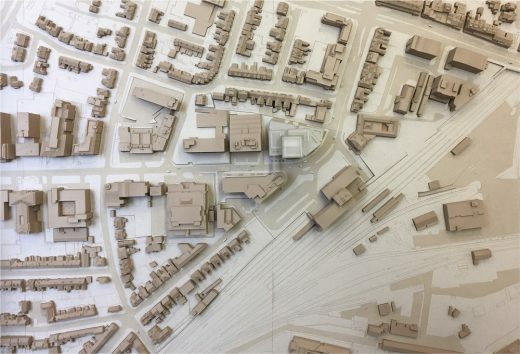 The campus sits directly opposite Watford Junction Transport Hub, creating a new ‘front door’ to the town centre as well as being a marker for the area’s ambitious regeneration plans, which include a new mixed use neighbourhood. 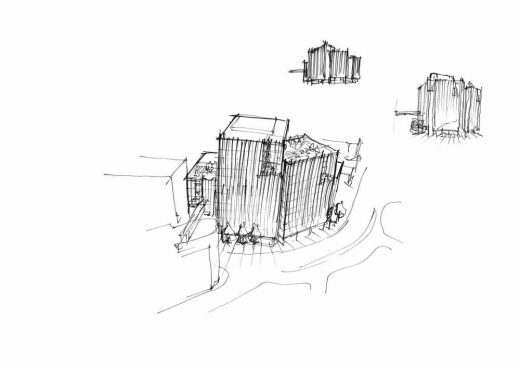 The focal point for the development is a new 15,000m2 building that appears as a series of interlocking glass volumes, which sits next to two existing buildings that will be refurbished. The highest part of the new structure faces the train station’s entrance, with the impact of the building heightened by indentations into the plan, with these ‘hinges’ creating an irregular, multifaceted form. Dan Burr, partner at Sheppard Robson, said: “The merging of architecture, interior design and workplace strategy has allowed us to create a tailored, yet adaptable, solution that fits the specific requirements of the client. The architectural identity of the main building is shaped around its immediate townscape context. 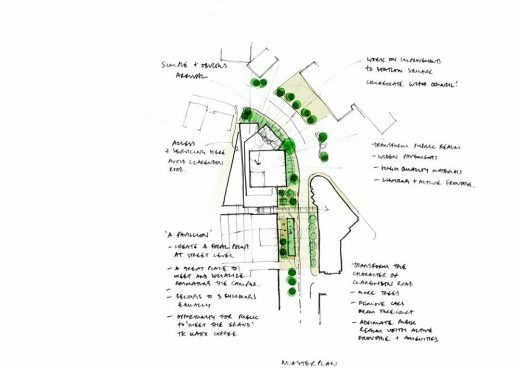 The highest part of the building aligns to Clarendon Road with volumes stepping down around the curved frontage opposite the station to acknowledge the smaller scale residential buildings on that side of the development. 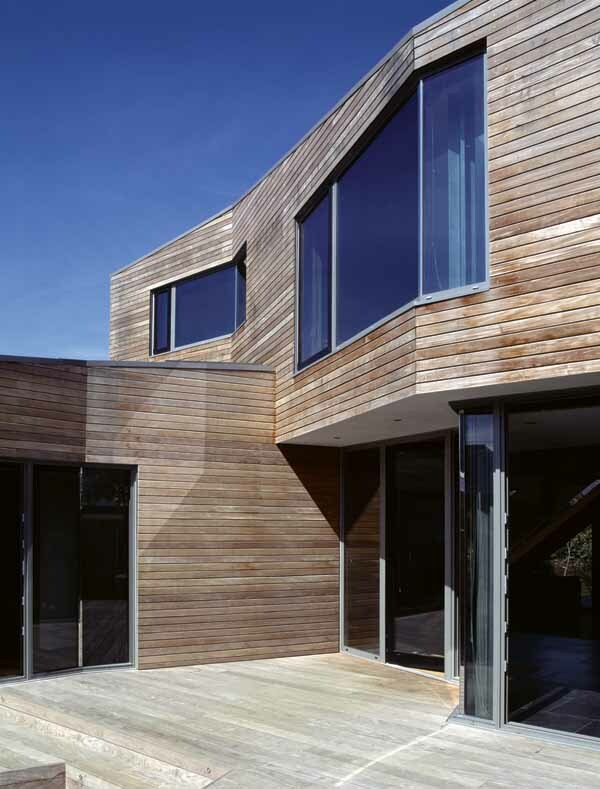 As well as creating an engaging architectural form that reduces the mass of the building, this stepping of the volume also creates the opportunity for several gardens terraces and staff amenity spaces. Internally, ID:SR – Sheppard Robson’s interior design group – have being carrying out extensive consultation with TJX Europe to shape their future work patterns, driving efficient and creative use of the internal spaces. 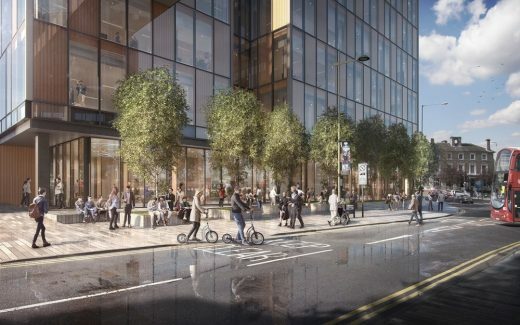 The office space will be arranged around the perimeter to maximise natural daylight, with circulation atria positioned on the side of the buildings, showcasing the inner workings of the interior spaces. This new building will sit next to two existing structures, which will be fully refurbished. 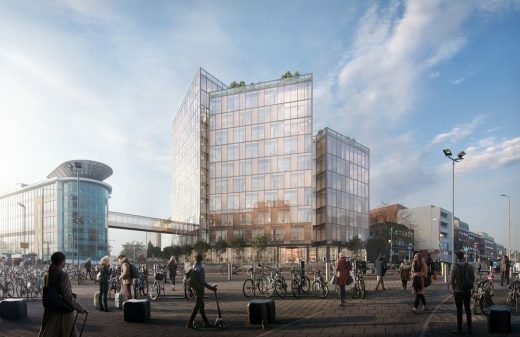 The existing building to the south of the site will be linked to the new building by a new prefabricated bridge that has been designed in collaboration with engineers Ramboll.